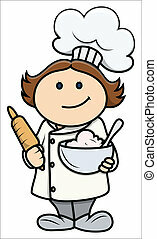 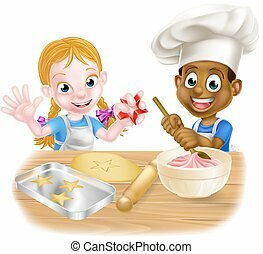 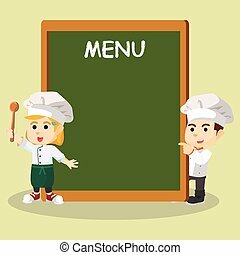 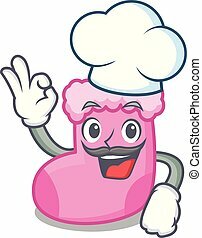 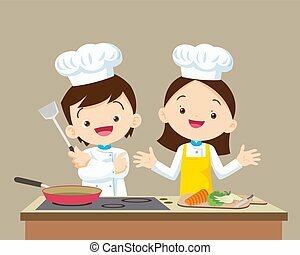 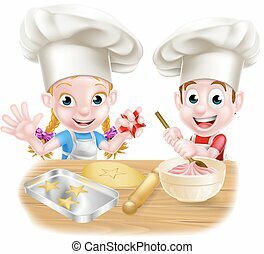 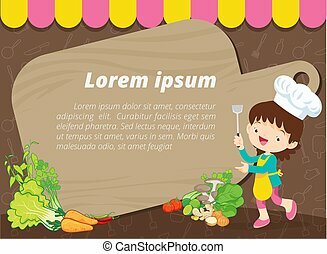 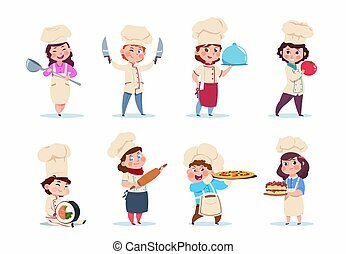 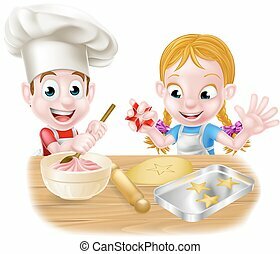 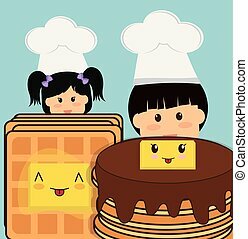 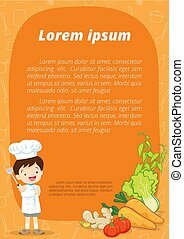 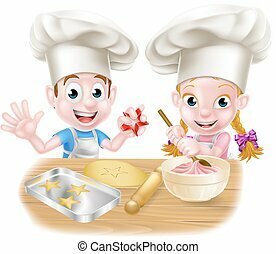 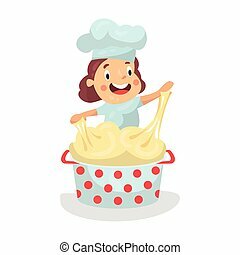 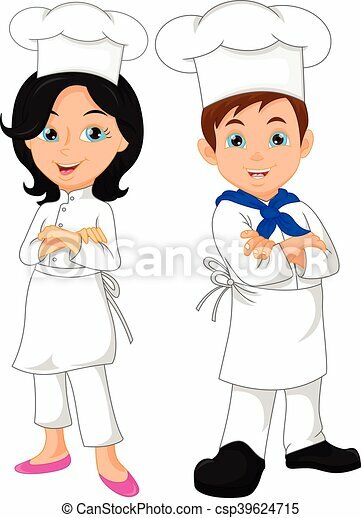 Vector illustration of boy and girl chef cartoon. 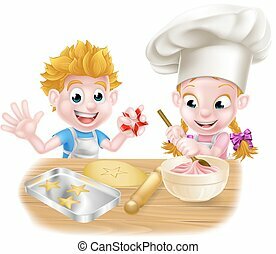 Cute Boy and Girl cooking in the kitchen. 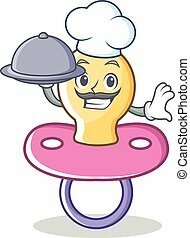 little chef presenting.